I know most people think of the Strawbs as a progressive rock band. Surely some of their music is prog. I’d have to say that for my money they are more of a folk band with prog sounds and connections (the group was one of Rick Wakeman’s pre-Yes stints). 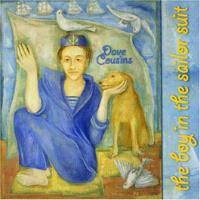 Dave Cousins solo album here has similar leanings. Mind you, I’m putting it into the progressive rock category because of his work in the Strawbs and because I’m going to buy into the convention that they are a progressive rock band. I’m just not fully sold. I am quite sold on this CD, though. 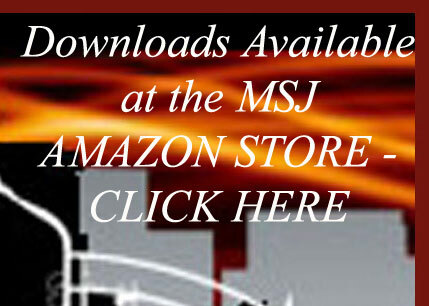 The disc provides a wide variety of music and everything is delivered with style and finesse. I like the disc a lot. It’s sure to please Strawbs fans, but would be a good choice for a wide range of listeners. It’s a great disc. I love the dramatic acoustic guitar pattern that leads this off. As other elements join to help weave this tale it takes on a new dimension. It drops back to a Dylanesque jam for the verse. There are still some prog elements here, but it’s pretty straightforward. We are rewarded at the end of this with a reprise of the introductory elements. From there it’s an alternating pattern of these two soundscapes. The instrumental break after the next verse is a bit more intense and involved. This is a rather countrified, folky ballad type piece. There’s not much prog in this. It’s a good song, nonetheless. There’s an odd little instrumental section right before the outro that somehow reminds me of Hawaiian music. Here we get a pretty and rather melancholy acoustic guitar driven ballad. This one doesn’t wander far, but it’s quite tasty. A light and fun musical motif serves as the backdrop for a song that reminds me somewhat of something from Roy Orbisson. The more powered up chorus later reminds me a bit of David Bowie, but yet some of the guitar work brings in more of that Hawaiian element. There is a rather intriguing instrumental segment that reminds me a bit of some of the lighter music from modern Yes. A full changeup, this is a stomping hard rocker. It reminds me quite a bit of something from early King Crimson (think “21st Century Schizoid Man”) but with a more rock and roll feel. I suppose comparisons to Jethro Tull would not be out of place either. This is actually one of my favorite tracks on the disc. And now for something completely different, this is a stripped down, down home countrified song at first. The verse feels more like some of the more unusual old fashioned music Queen used to be wont do perform. The track continues on by wandering between these to styles. A Celtic texture leads us off and shows off here and there in this track. With the classic song of the title making a big part of the chorus and the Celtic motifs pervading a lot of this track it reminds me a lot of something from Tempest. It’s a cool tune and nice change of pace. Some of the guitar fills call to mind Mark Knopfler. This turns quite powerful as it carries on. The opening to this brings back the metallic strains from “Mother Luck.” There are hints of the Celtic sounds of “Skip to My Lou” here, too, though. We shift out to a more mellow prog sound for the verse and then power back up to the intro sounds for the chorus. This is another highlight of the disc. There’s a cool jazzy jam mid track, too. This is folk-like and pretty. I wouldn’t really think of it as progressive rock, but rather closer to the folk music of the 1960’s. At times this calls to mind early Genesis just a bit, though. Cousins closes things with a rocker. This is one part 1950’s rock and roll and one part proggy sounds. We get a cool Charlie Daniels like violin solo on the cut and some smoking bluesy guitar. There’s also a honky tonk piano section. The jam that ends the tune is exceptional.